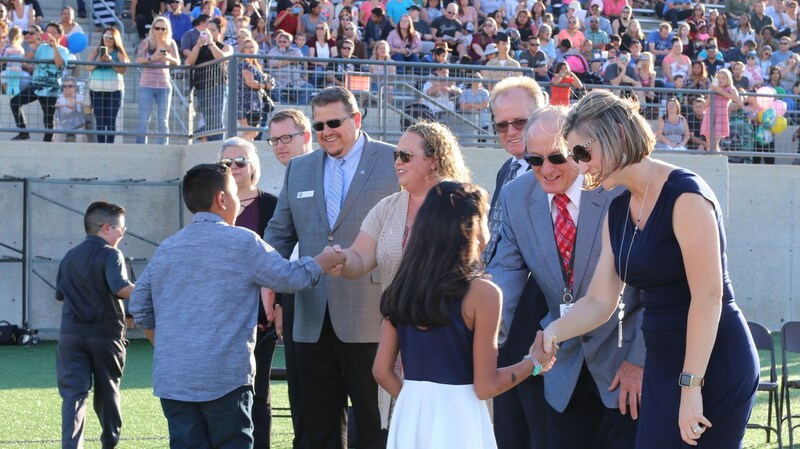 A total of 437 elementary school students were invited to the 31st annual Elementary Academic Honor Roll on May 8, 2018, at West Valley High School’s football stadium. At the award ceremony, students were given a ribbon for their academic achievements. The ceremony was for fourth and fifth grade students who achieved a 3.5 grade point average (GPA) or greater. Students also needed to score above the 55 percentile in English Language Arts and Mathematics on the most recent Measures of Academic Progress assessment (MAP). 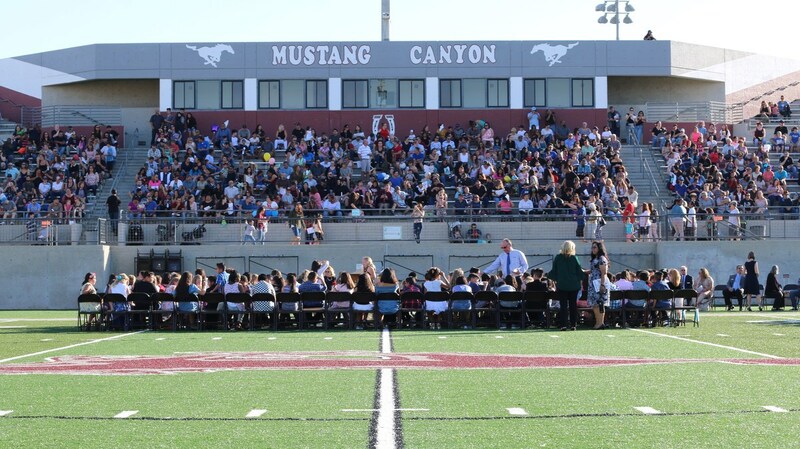 As students received their ribbon, they shook hands with Hemet Unified School District’s (HUSD) Governing Board, Superintendent, and Assistant Superintendent of Educational Services. Tahquitz High School’s Marine Corps Junior Reserve Cadets conducted the posting of Colors to start the evening’s event. 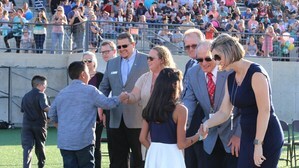 After Annette Davis-Thole, Director of Elementary Education, led everyone in the Pledge of Allegiance, Eugene Johnson and Jazmine Ferrell, a Hemet High School students, sang the National Anthem. West Valley High School senior Laura Suarez spoke to the students about the importance of setting a goal and encouraged them to continue their hard work. 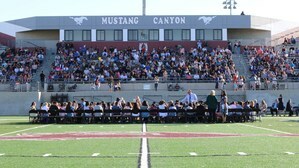 The stands on the home side of the stadium were filled with students’ families. Principals and Assistant Principals were among their students, celebrating their achievements and congratulating them. Congratulations to the 437 students for working hard throughout the year and for being recognized as Elementary Academic Honor Roll students!